Malaita Province is one of the largest provinces of the Solomon Islands. 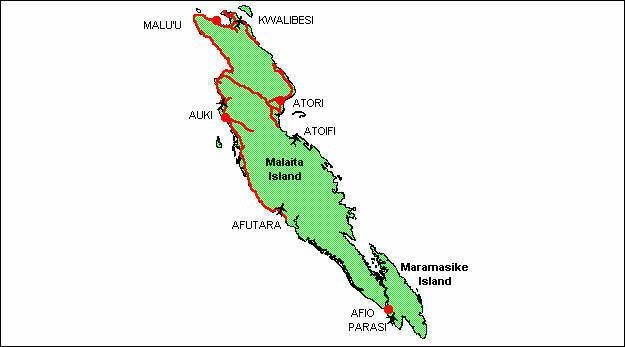 It is named after its largest island, Malaita (also known as "Big Malaita" or "Maramapaina"). Other islands include South Malaita Island (also called "Small Malaita" or "Maramasike"), Sikaiana Island, and Ontong Java Atoll. Britain defined its area of interest in the Solomons, including Malaita, and central government control of Malaita began in 1893, when Captain Gibson R.N., of HMS Curacoa, declared the southern Solomon Islands as a British Protectorate with the proclamation of the British Solomon Islands Protectorate. The provincial capital and largest urban center is Auki, which was established as the Administrative center for Malaita Province in 1909. 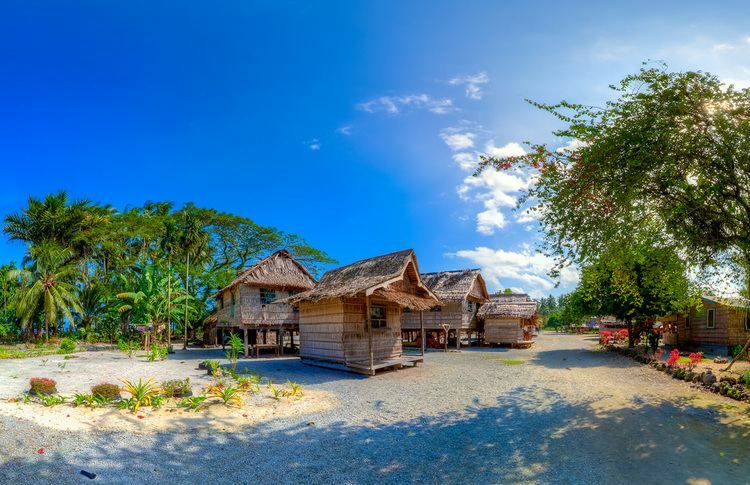 Tourism is largely underdeveloped in Malaita; Auki is near to the Langa Langa Lagoon, which provides opportunities for snorkeling, and the villagers provide shell making demonstrations. The population of the province is 122,620 (1999). The area of the province is 4,225 km2 (1,631 sq mi). The Melanesian population of Malaita has unique cultural traditions in social aspects of life. 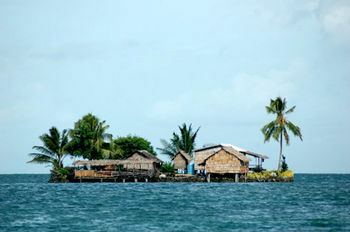 Brideprice is a tradition which is unique to Malaita compared to the other islands of the Solomon Islands. In this practice the groom's parents present customary money of shells and food to the bride's parents. The people of the main island are of Melanesian ethnicity. The outer islands of Ontong Java and Sikaiana are of a Polynesian ethnicity and are recognised as Polynesian outliers of Polynesian culture. Malaitan shell-money, manufactured in the Langa Langa Lagoon, is the traditional currency used in Malaita and throughout the Solomon Islands. The money consists of small polished shell disks which are drilled and placed on strings. It can be used as payment for bride price, funeral feasts and compensation, with the shell-money having a cash equivalent value. It is also worn as an adornment and status symbol. The standard unit, known as the tafuliae, is several strands 1.5 m in length. The shell money is still produced by the people of Langa Langa Lagoon, but much is inherited, from father to son, and the old traditional strings are now rare. The violation of cultural taboos and practices as well as causing personal offence is considered a cultural affront. Malaita culture calls for the exchange of valuables to ease and resolve the alienation that may thus arise. This is called fa abua or fa okae (compensation). The people of Langa Langa Lagoon and Lau Lagoon in Malaita, Solomon Islands built about 60 artificial islands on the reef including Funaafou,Foueda, Sulufou,Saua,Ferasubua and Adagege. The inhabitance of these lagoons call themselves wane i asi 'sea people' as distinct from wane i tolo 'inland people' who live in the interior of the island. There was a history of conflict between the bush people and the salt-water people. The people of Lau Lagoon build islands on the reef as these provided protection against attack. These islands were formed literally one rock at a time. A family would take their canoe out to the reef which protects the lagoon and then dive for rocks, bring them to the surface and then return to the selected site and drop the rocks into the water. Living on the reef was also healthier as the mosquitoes, which infested the coastal swamps, were not found on the reef islands. The Lau people continue to live on the reef islands.